Love shares a special relationship with poetry, both in love found and love lost. Perhaps it is the very nature of poetry that lends itself to the subject of love. Love is about emotions; poetry is about emotions too. They seem a natural fit. 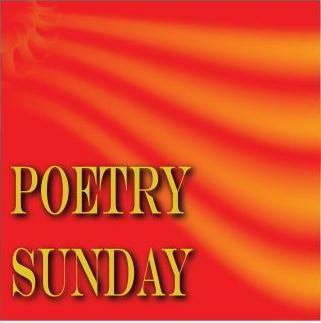 Poetry is the refuge for emotion and love moved in as a permanent resident. At the very least, we must admit that communicating our love for others is one of our primary uses of language, and by extension, poetry. When done right, a love poem keeps time with the heart; each foot becomes a heartbeat. Just as emotion builds within a poem as the heartbeats continue, so too emotions build within our souls as our heartbeats force us to express our love or seeming explode from its pressure. Poetry is a natural ally. Regardless, the poem has become ubiquitous and even lampooned over the years. Even with its simplicity, it has the poetic quality that conveys a feeling of affection. While love poems work to convey love in its positive aspects, there is love lost too. Its emotions and feeling are just as strong, if not stronger. Certainly, the rawness of them is well understood by anyone past the age of twelve. Though Burns is credited as the poet, he claimed it is based on a song he heard a Scottish lass sing to her lover no longer with her. Rather than sorry for her loss, she sang of her willingness to do whatever it took to regain her love. It speaks to love’s ability to endure. It does not say if that distance is miles or some other obligation. It simply shows love can overcome. As sad as the distance is, the poem holds out hope. While both talk of love found, in the first, distance stands in its way. In the second, it speaks to the power of love and its ability to make us more than we are alone. It celebrates love and has even greater hope for the future. is there only for you. though easy a mark am I.
I do not question them. I cannot – I will not! I have no further use for heartbeats. Poetry is about expression. When expressing love lost, it tends to cut, not with derogatory and hateful words but more by showing vulnerability. Often, when hurt by love, it is within the gentlest spaces in our hearts. It makes us wish to callous them and never be hurt again, but gratefully, that is not how it works and we seem foolish enough to step back into love’s light again and again; again finding the need of joyful love poems. In the end, perhaps Keating was right. We developed language not so much to communicate as to communicate out emotions. Perhaps this is exactly why love poems carry such strength within our souls. [i]Spencer, Edmond. “The Faerie Queene.” Spencer, Edmond. The Faerie Queene. London: William Ponsonbie, 1596. Book Three, Canto 6, Stanza 6. Book. As I structure my blog more, I need a place to put random thoughts and posts that just don’t fit in particular topics. Friday is the day for that. They might be short, little snippets or long, thought-out blogs. It all depends on my mood. Of course, there is the danger that I have nothing of interest on a given Friday. If that is the case, I will have to get creative with something to post. While not sort on ideas, last night I was reminded of a short story I penned a few years back. Is reads like a fairytale or parable. Today, I am going to post it for my Friday offering. It is rather short; I was limited to 1200 words. I am thinking of expanding it. Would love to know if everyone thinks I should. Once upon a time, there lived a powerful wizard. He traveled the world looking to find true love; he did not think it existed for it was the one thing he could not make with magic or tricks. He had been told that to find it he first had to find the bucket that would never empty. He searched and searched until it seemed the whole world had been traveled, but no bucket could be found. He began to think it did not exist. Feeling sure there is nothing to gain in this town, “I seek a bucket, a magic bucket that does not empty, it holds the only magic I do not have,” the wizard shares. The wizard cannot believe this man knows of the bucket, he had searched so long and only the wisest men had even heard of it. How could this simple man know of such things? Waiting for a moment to think things through, “yes, yes I would be glad to dine with you – and talk!” Entering the home the wizard feels warmth unlike felt in any other. Surly the humble fire could not be giving such warmth, but yet he felt it. There is something special about this place, the wizard thought, something special about these people. Soon the meal was ready and they all sat down and enjoy it. Watching the gentle way the man treated his wife seemed odd, him being a blacksmith and all, yet with her, he was quite the lamb. And with the way she treated him, one might think him a king, the wizard pondered on it throughout the meal. 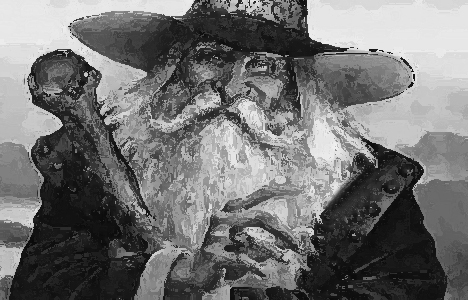 He waited all he could, “you say you know where this bucket is,” the wizard asked. “Do you mean the bucket that will not empty?” the wife asked in reply, it seemed even she knew of it. “Yes, yes, I have searched so long for it,” the wizard said almost begging to know more. “Oh, I did not think one so wise believed in such things,” she said as she cleared the table. “Pay her no mind,” the smith said as he too cleared things away. “She believes in it right enough, we all do,” and with that he kissed her gently on the cheek. All alone, the wizard began to understand. They had true love! He must have the bucket! he thought. No more talk of the bucket was had. The wizard had formed a plan. The couple offered to put their visitor up for the night and he readily agreed. Perfect, he thought. When they are asleep, I will search the house. The bucket will be mine! Soon as he was sure the couple was asleep, the wizard searched the house. He looked at every bucket he could find. Nothing seemed special about any of them. It must be hidden, he told himself. Allowing his frustration to get the better of him, the wizard gave no concern to the mess he made and pulled all sorts of things from their place. He emptied drawers; he pulled out packing boxes. He looked under the stairs; he looked in the root cellar – still no magic bucket. He was exhausted and sat down on the kitchen floor. He was so tired, he fell asleep right there. Looking around at what he had done, the wizard felt ashamed. He told the blacksmith the truth, the truth about everything. As the two men put things away, the blacksmith explained, “the bucket is not a real bucket; it is a way to love.” The wizard did not understand. “You see love lives in your heart’s bucket. You can never know just how much is in there or when it might run dry by giving your love away. As you put yours into your lover’s bucket, they in return put theirs in yours. That way neither ever is empty. It is the secret to true love. It is when love is not returned the heart is in danger.” The wizard just smiled, it was so simple, he laughed at missing its truth all these years, he now understood. Later that morning as the wizard left his friends, he looked back on the little town knowing he had the bucket all along. We all have it. We have to give love as well as receive it, only then we can know true love. Only then will love’s bucket never empty. Love is one of life’s trickiest subjects. If ever the word dynamic applied to something, it is love. The word is overused, misused, misunderstood, deceptively used, not believed, and worst of all – sometimes not ever said. Still, none of that diminishes love’s ability to adapt itself, as it needs. My best friend’s daughter (she is four now) tells me she loves me all the time. Of course, that statement tempers with the knowledge she says the same thing to worms at the bait and tackle store. Nonetheless, it brightens my day. The point is even at such a young age, she knows there is something special about that word. A place card has been set within her for it and soon love will join her table of emotions as a permanent member. As we travel life, love takes on many forms. It always seems to be changing. The white-hot passion of the teen years gives way to a more ember-glow of a lasting love. Love’s changes are not good or bad, they simple are. The problems we have with love are more to do with other emotions that tag along rather than with love itself. We tend to think of people we love as ours, as if the object of love is a thing to own. I can promise you, ownership and love have nothing in common. A man may say, “I love my car” with more ease than he says, “I love my wife.” Although both statements hold similarities, they are not close to expressing the same emotion. On the one hand, he is talking about the enjoyment of something nice to have, that requires nothing from him beyond physical attention now and then. On the other hand, he is talking about a tangle of emotions, desires, and vulnerabilities all focused on one person. Women too can do the same kind of thing, but say the words with equal ease whether the subject in question is the mate or simple the latest episode of Desperate Housewives. It becomes a problem only when the recipient believes them to be expressing the same thing, which is something men do. Unrequited love is painful, as we all learned in high school. When rejection happens from the start, it hurts, but will pass. More harmful is a feeling love is unreturned over time. Just because we believe it to be unanswered though, does not mean it is. As we spend time with someone, we gain an equilibrium that allows us to accept our partner knows our thoughts without saying them. This is a false belief, for even if they are – you still have to express them. The act of expressing them is, in itself, an act of love. How horrible it must be to wake up one day to find by simple saying nothing, you have lost the one you so deeply love. It happens all the time. If this happens to you, do not blame the one you love, it was you that failed to express your love. It was you that allowed them to believe love was not there. It does not matter if you think you expressed love, it matters that they feel you have. Love is complicated. It is not complicated to give at first – that part is easy. The complication comes in its maintenance. Love, you see, is not a single straw, standing against the wind. It is a bundle of them and individual reeds gain strength from the others. If one straw chafes, others will follow, eventually the whole of it is beyond repair. Care must be given to each straw to protect the whole. Some strands will chafe and break, they need to be replaced. In a relationship of love, trust can be lost. Like the individual straw, either it is replaced with new trust or the relationship, as a whole, suffers. Only with this kind of constant maintenance will love reach its full potential. The good news is you are not alone, both work upon the same bundle and together the task becomes easier. That is where open and honest communication comes in. If love becomes unmanageably hard with time, look for a lack of openness and honesty. It is the love’s details of love we must share to know love is its truest form. It is the details of ourselves we must share. The more you are willing to let love hurt you, the more from it you can gain. The trick is to love someone who knows and understands this point, for only when you trust someone completely can you open your heart completely to them. It is a risk, to be sure – but it’s one well worth taking.